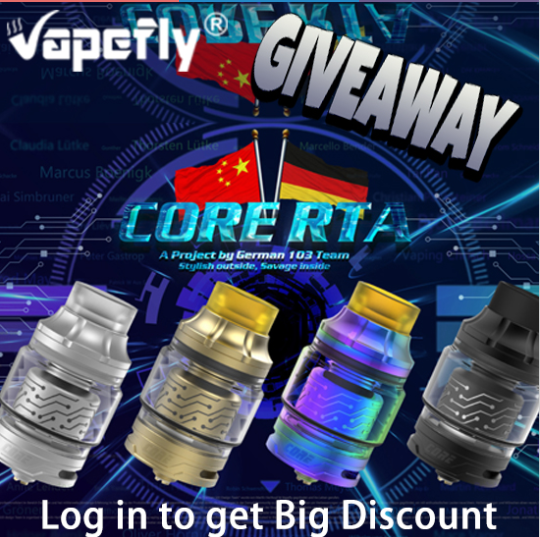 A new cloud monster named Core DTL RTA will coming at efun soon, it is design and manufacture by "German 103 team" and Vapefly. it is a real cloud monster with powerful "Q" airflow system, support singal and dual coils too. do you guys wanna have try it ? you just click this GIVEAWAYS and enter , you wil have the chance to get one free .